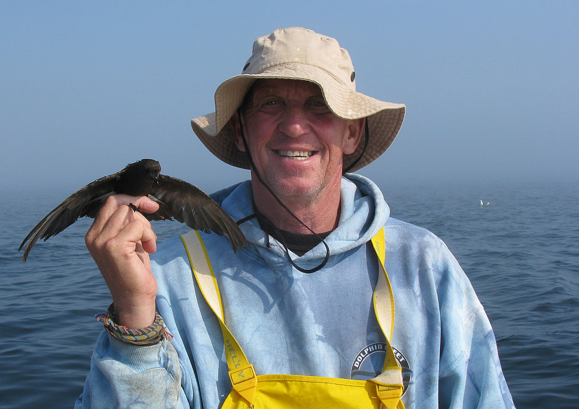 It was only appropriate on a chilly February evening with a misty wind blowing across Town Cove that attendees heard from Peter Trull about terns, birds that are entirely at home over the open ocean, exposed and in the elements. These incredible seabirds spend the large majority of their lives at sea, returning to land including the Cape and points north, well into the Arctic Circle, to lay eggs and raise their young. Trull’s latest book, Birds of Paradox: The Life of Terns comes following a decade of research on the majestic birds. There are three species of terns that nest on the Cape, with least terns being the most numerous, common terns following, and Federally Endangered roseate terns being the least common, with the nesting of the third species largely restricted to Buzzards Bay at this point. Trull took audience members inside tern nesting colonies with a series of beautiful photographs, elaborating on features that allowed for identification of different species and different aged individuals, discussing the courtship, breeding, incubating, and feeding behavior of terns, and pointing out the many predators and threats that the eggs and young birds face. Peter encouraged attendees to observe terns more closely this coming breeding season, as their behavior presents a window into their mysterious oceanic lives. Thank you to all who came out and we hope to see you next time to hear from local author Sandy Macfarlane on March 7!